Since 2004, ÖGON Designs has been creating practical products that fit the lifestyle of people who go to the essential! 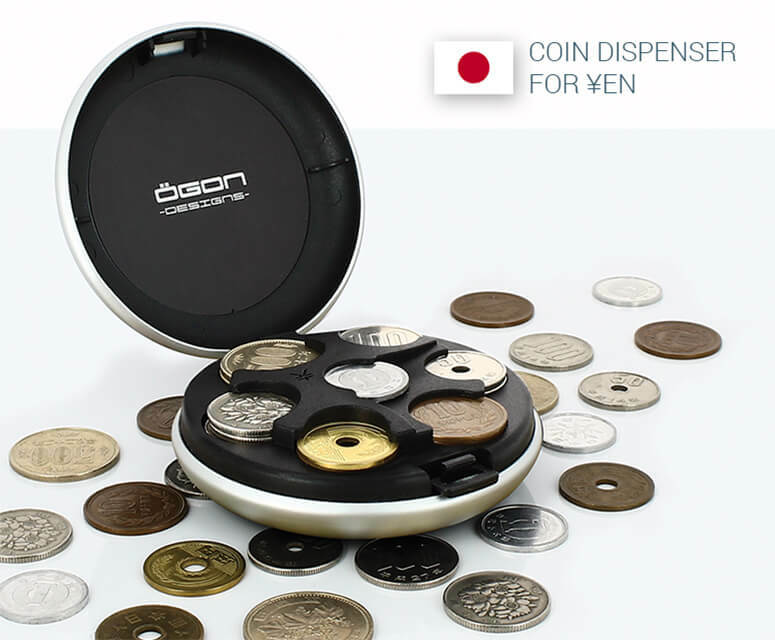 The ÖGON coin dispenser was launched on the European market in 2009. This small round case that resembles to a powder case was an immediate success. Ultra-functional: it allows you to give your change in an instant. It can contain about 20€ in coins, about forty pieces. Compact and durable, it is easy to find in a bag, or you can keep it in the glove compartment of your vehicle. No more loose change in the pockets! Capacity: 5 pieces per slot. 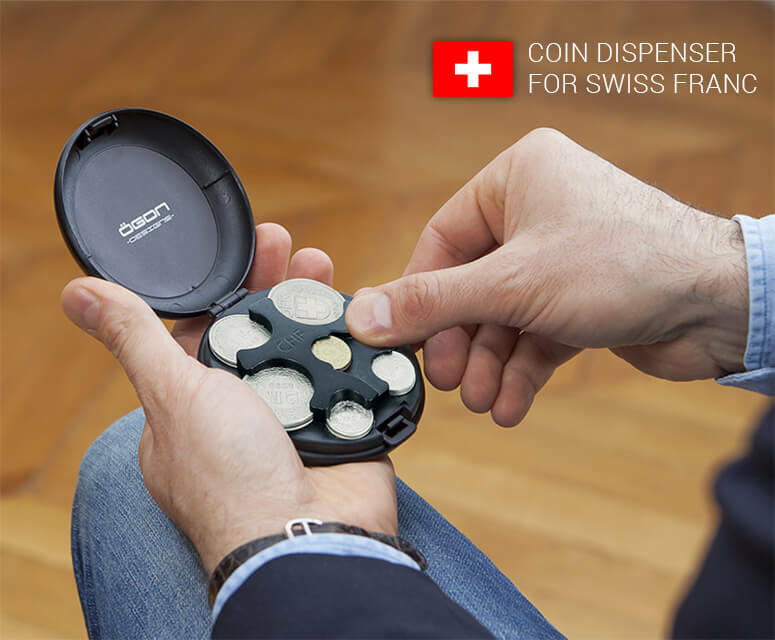 The coins are maintained by a spring mechanism and are very easy to locate and take out. 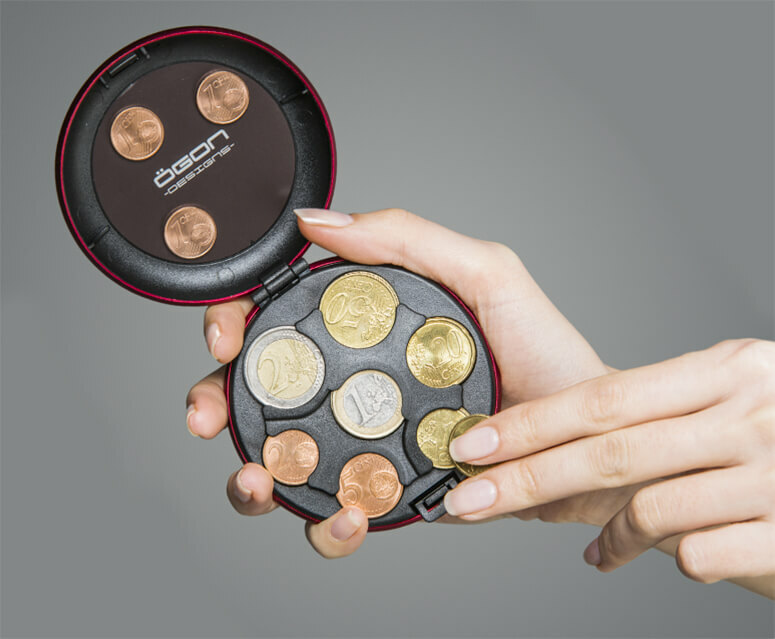 Magnetic cover for coins of 1cts. Also available for Yens and Swiss Francs.